This composite of 25 images of asteroid 2017 BQ6 was generated with radar data collected using NASA's Goldstone Solar System Radar in California's Mojave Desert. 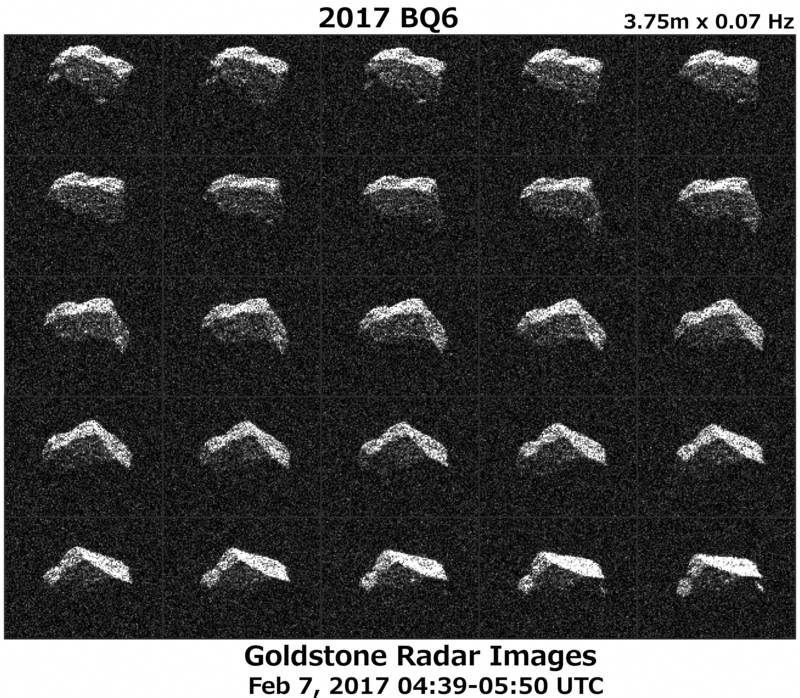 The images were gathered on Feb. 7, 2017, between 8:39 and 9:50 p.m. PST (11:39 p.m. EST and 12:50 a.m., Feb. 7), revealing an irregular, angular-appearing asteroid about 660 feet (200 meters) in size that rotates about once every three hours. The images have resolutions as fine as 12 feet (3.75 meters) per pixel.